Corner Cottage Gallery is situated in Box Trees Craft Centre. 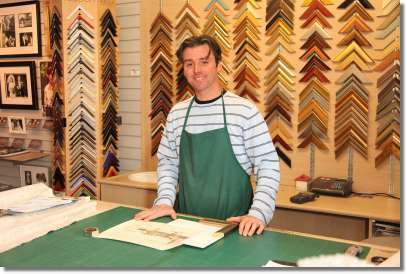 We have a plethora of experience in both picture framing and selling art. The Gallery has a comprehensive range of frame samples, mount options and hand finished frames. Specialising in framing all aspects of artwork, photography, fabric art and 3D objects. No job is too large or too small, our imagination is infinite. The Gallery has an ever changing range of original paintings with the emphasis on individuality and quality, our wall reflect an exhilarating and infinite variety of the contemporary art scene. With the backup of a comprehensive website illustrating an extension of the gallery, showcasing limited editions and original artwork by some of the country’s leading artists. The White Wedding Photography Company also resides within Corner Cottage. For all of you prospective young couples looking for an amazing photographer you can visit Helen's web site by clicking here.